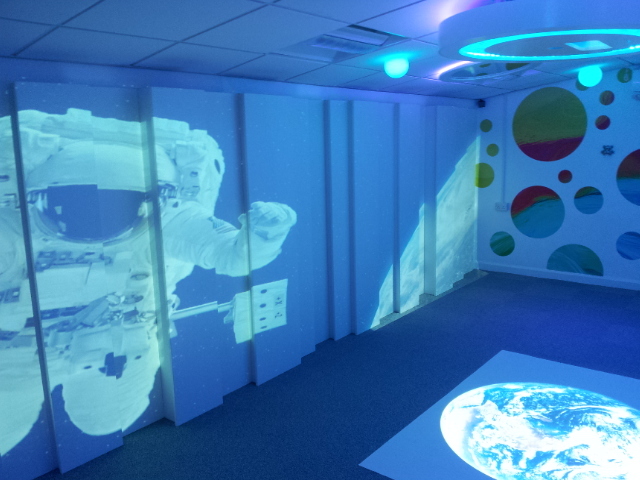 4D’s inspiring technology delivers engaging ways to teach the new primary curriculum. 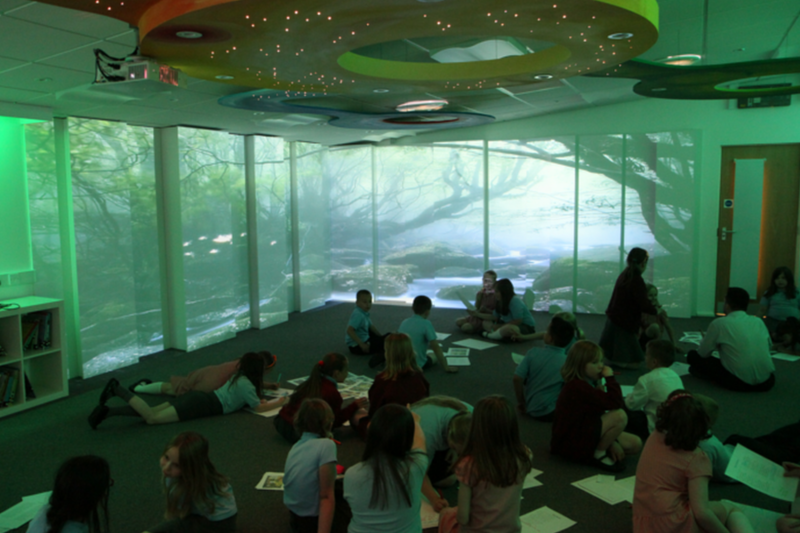 4D’s immersive experiences draw pupils in from the moment they step into the space. 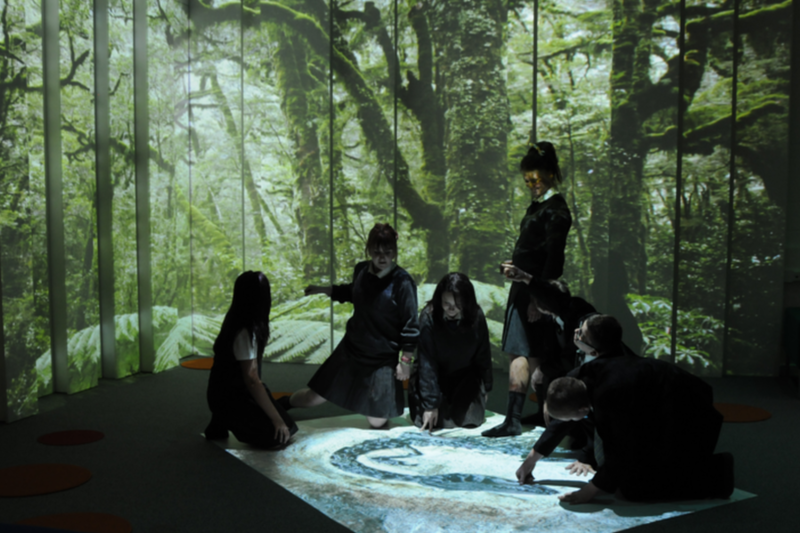 From reception through to key stage two, immersive learning is having a huge impact on pupil engagement. 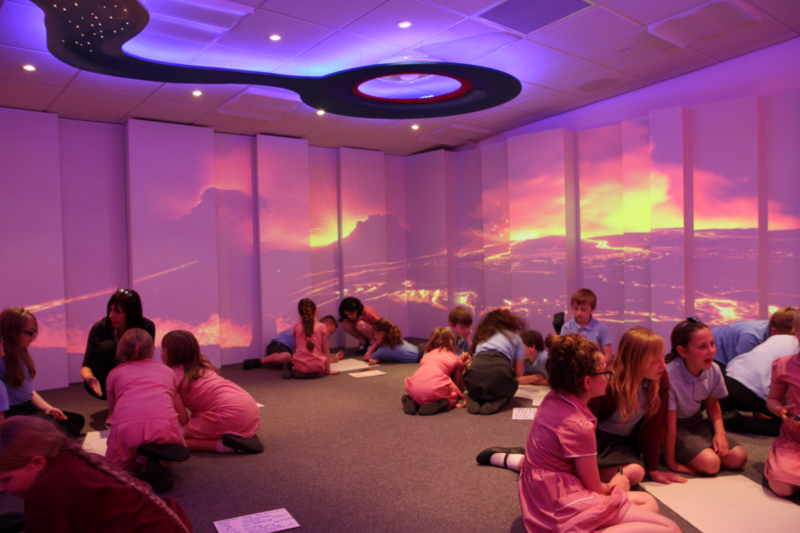 Our immersive spaces create cross-curricular learning opportunities and support the development of pupils’ spoken language, reading and writing. The flexible themes increase the development of pupils’ mathematical fluency in a cross-curricular approach. Every 4D space comes with a library of immersive themes, but it’s quick and simple to create and upload your own allowing you to be as creative as you want to be! 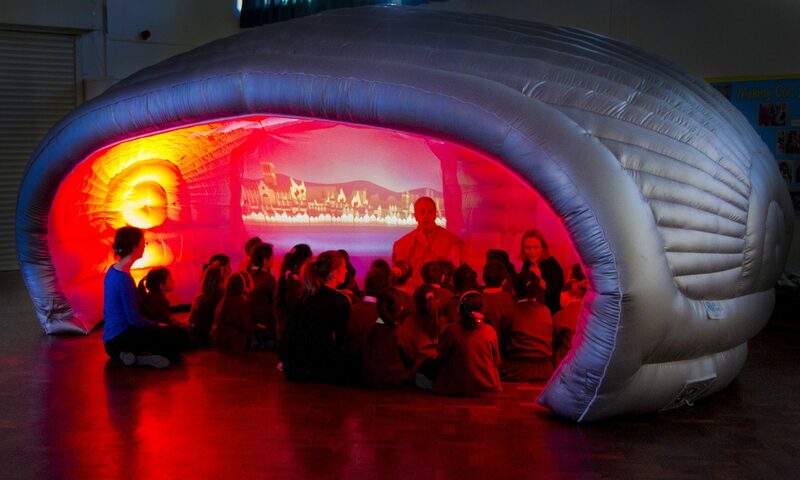 An eerie enchanted space ready for pupils to practice their creative writing. What can you hear? What do you experience as you travel deeper into the wood? Use your best wow words to share your adventures with classmates. Now explore the wood further, learn how plants and trees grow and what other animals live here. Experience the power of nature as you stand on top of a huge, roaring volcano. Peer inside to see the Earth’s core and discuss how volcanoes form and their devastating effects. Get ready for an immersive archeological dig! Wipe back the years and discover new artifacts. What have you found? How has it got here? Put on your space suit and travel to other worlds! Learn about gravity, the atmosphere and the solar system as you drift through space. Plot your route home and work out how long it will take you to get there.